Transferred from 21 Group R.A.F. 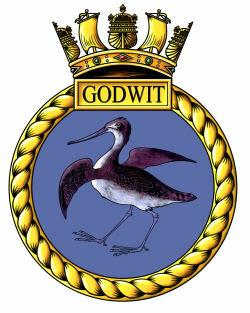 01 March 1947 as H.M.S. Godwit on closure of R.N.A.S. Hinstock. 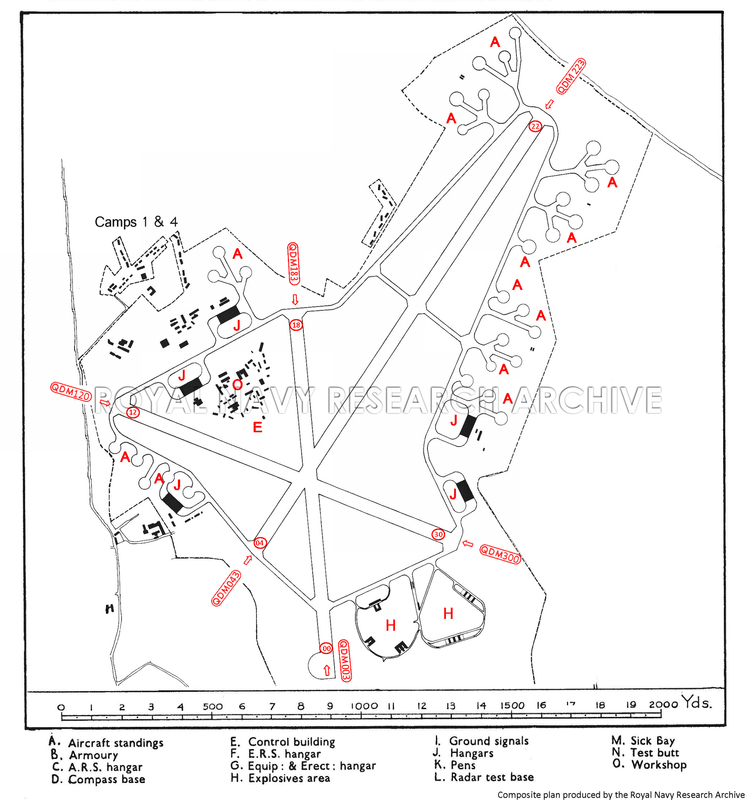 The airfield lies 5 miles S. by W. of Market Drayton and ¾ miles S. of the village of Child's Ercall. Stoke on Trent lies 13 miles N.E. and Shrewsbury 11 miles S.W. Birmingham lies 30 miles S.E. The Shropshire Union canal, running from Birmingham, through Market Drayton to Chester, passes 3½ miles N.E. 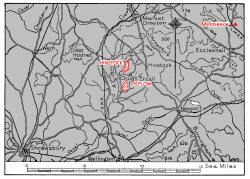 ; the river Tern, flowing S. towards its junction, 10½ miles S.W., with the Severn, passes ½ mile W.
Control building on W, side of landing area, in front tf the technical buildings. 00/18 QDM. 003° /18° .... 1400 X 50 yds. 04/22 QDM. 043° /223° .... 2000 X 50 yds. 12/30 QDM. 120° /300° .... 1400 X 50 yds. 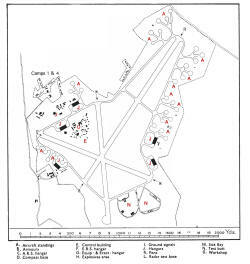 in three sites, 2 in the main technical site on W. of landing area, 2 in a site on the E of the landing area, ad 1 SW. between the '12' & '04' ends of runways 04/22 & 12/30. Explosives area at SE. end of landing area. 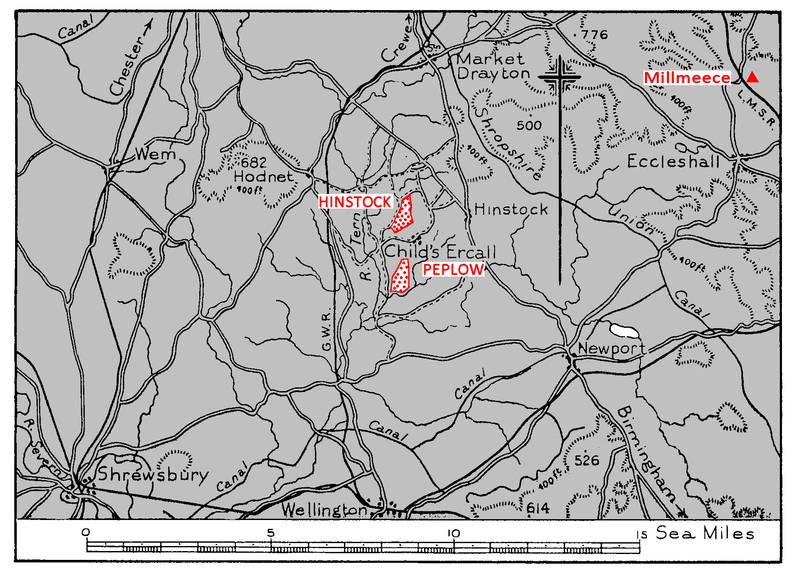 Moved here from RNAS Worthy Down 08.1945 Disbanded here 21.02.1946. Equipped with Whitley GR.VII - was to re-equip with Fortresses and Lancasters. Moved here from RNAS Donibristle 15.08.1942. Disbanded on 14 May 1946, to become 'B' Flight of 780 Squadron. Equipped with Anson, Oxford Reliant, Tiger Moth, aWellington GR.XIs Harvard IIbs, and l Harvard IIIs. Equipped with Fireflies, Harvards, Oxfords, Tiger Moths. and Lancasters (based at Prplow). Moved here from RNAS Halesworth 28.11.1945. Disbanded her 18.03.1946. Equipped with Barracudas, Fireflies, Harvards, Seafires, and Tiger Moths.